You may be a serious cigar enthusiast and you want to treat yourself to a quality humidor or you have refined tastes. Either way, you’re looking to invest in a luxury cigar humidor. If you’re as passionate of cigars as we are, then you understand the importance of providing them with a quality humidity-controlled environment. After all, they’re precious to us as they deserve to be treated with love. You can use the links above to jump ahead. You can also head to the menu below to see what else is covered in this guide. 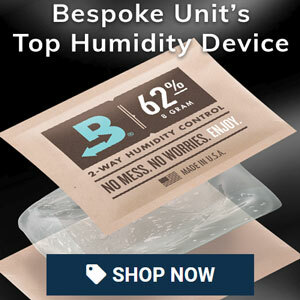 What Are The Best Luxury Humidors You Can Buy Online? Why Use A Luxury Humidor? Are Luxury Humidors Worth It? The Bespoke Unit team was smitten by the Davidoff’s Statesman series since it was first released. Handmade by French Living Heritage Company (Entreprise du Patrimoine Vivant), it offers one of the most exquisite build qualities that we have yet to see. Furthermore, the humidor is lined with okoume rather than Spanish cedar, which is an exotic wood that doesn’t need seasoning. They’re a rarity and quite had to find. For instance, they’re rarely available directly through the Davidoff website. However, you may find one through a licensed retailer. Daniel Marshall have been crafted humidors in Santa Ana, CA since 1982. His renowned creations have been awarded by Cigar Aficionado and he has been known to make custom models for discerning celebrities. The signature humidor is made with 24kt gold-plated hinges, black ebony edging and a solid Spanish cedar interior. Furthermore, the lid has a magnetic lining to easily fit any devices without using stickers. Following his long experience in working for renowned brands such as Reed & Barton, David “Mac” McLoughlin founded the American Chest Company in order to preserve the craft. Each humidor is handmade by Amish craftsman in Rhode Island only from hardwood. Like the Daniel Marshall humidors above, their humidors are equipped with a magnetic lining for easy device management. Despite having moved production to China, the renowned brand continues to manufacture quality cigar humidors. We were impressed by the stylish and sleek design of the St James series and were particularly fond of the Black Ebony Alexander model. 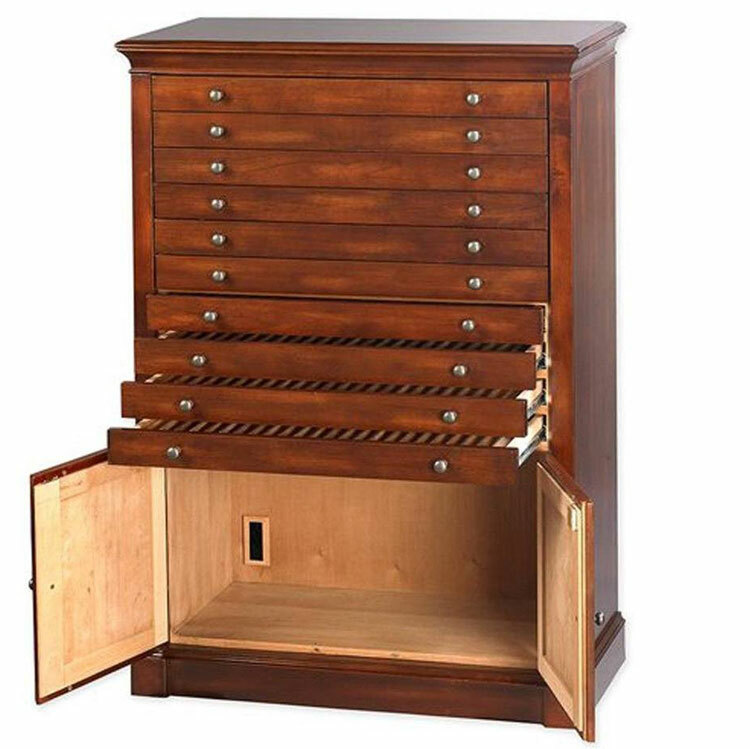 Like the models above, this humidor also features a magnetic-lined lid so you can easily remove and replace any devices. 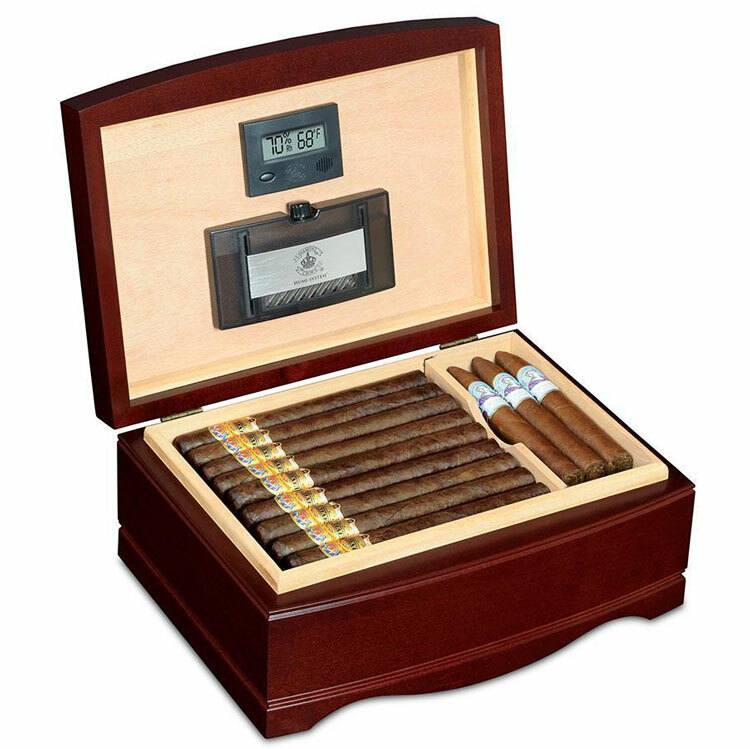 The larger humidor provides you with a spaciously luxurious yet surprisingly affordable premium humidor. Out of all the classically-designed cigar cabinets that we tried, we preferred this unusual and deceptively large humidor. Designed to resemble an end table, the Montegue is a very convenient storage solution that can seamlessly integrate the decoration of any room. Furthermore, it features two interior A/C outlets for supplying your devices with power as well as high-quality locks for keeping your collection safe. While the Aging Vault may not necessarily be the best cigar cabinet that we tested, it is certainly among the most prestigious. Its large construction is designed for individually ageing cigars with partitions that can each hold any cigar vitola under the 8×55 format. This lavishly spacious cabinet may be a particularly attractive option for serious collectors who enjoy the effects of a slow and careful ageing process. Furthermore, the cabinet is equipped with an internal A/C power outlet for electronic humidifiers. Why Use A Premium Humidor? Investing in a luxury humidor will likely provide your cigars with the best possible humidity-controlled environment that money can buy. While there are many more affordable storage solutions, a premium humidor won’t just keep your cigars fresh but will help them age too. There will be a greater chance of obtaining a reliable and airtight seal while the high-quality materials will ensure superior moisture retention and prevent leakage. Furthermore, your humidor will be made to last and you’ll likely be able to use it for storing cigars for decades. This opens up the possibility of the humidor itself to become a family heirloom. Not only will you be able to enjoy it throughout your lifetime, you’ll be able to pass it down to future generations. Even if future don’t appreciate cigars as we do, a luxury humidor is a beautiful expression of craftsmanship and can be appreciated like artwork. For instance, some of the premium humidors that we recommend in the list above are handmade by authentic craftsmen around the world. Until the time comes to hand it down to your heirs, you’ll be able to admire both the humidor itself as well as your cigars. Needless to say, luxury humidors are generally superior than more affordable humidors. However, are they worth the extra cost? 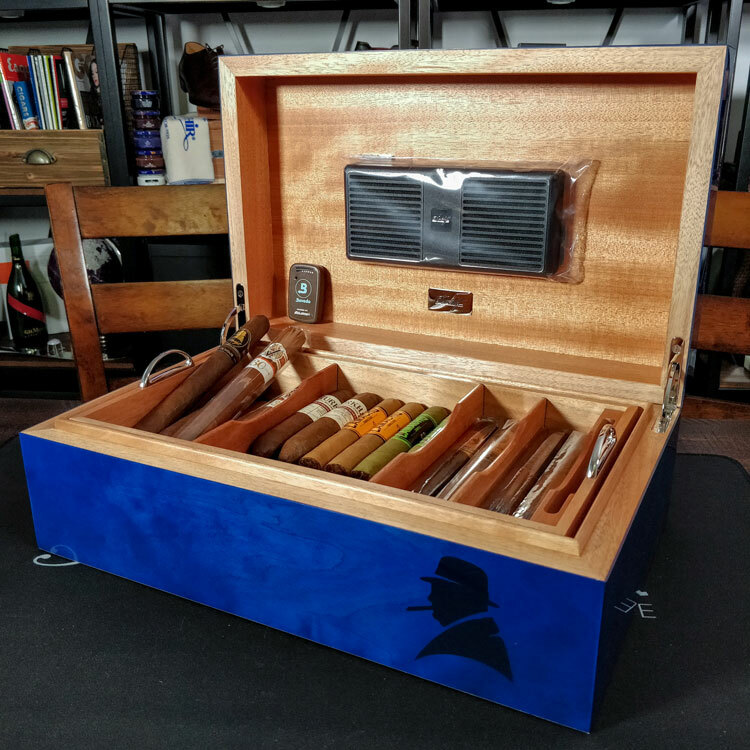 If you’re only looking for a way to reliably and safely store your cigars in a humidity controlled environment, you’ll likely to be able to find excellent performance from the best value humidors. 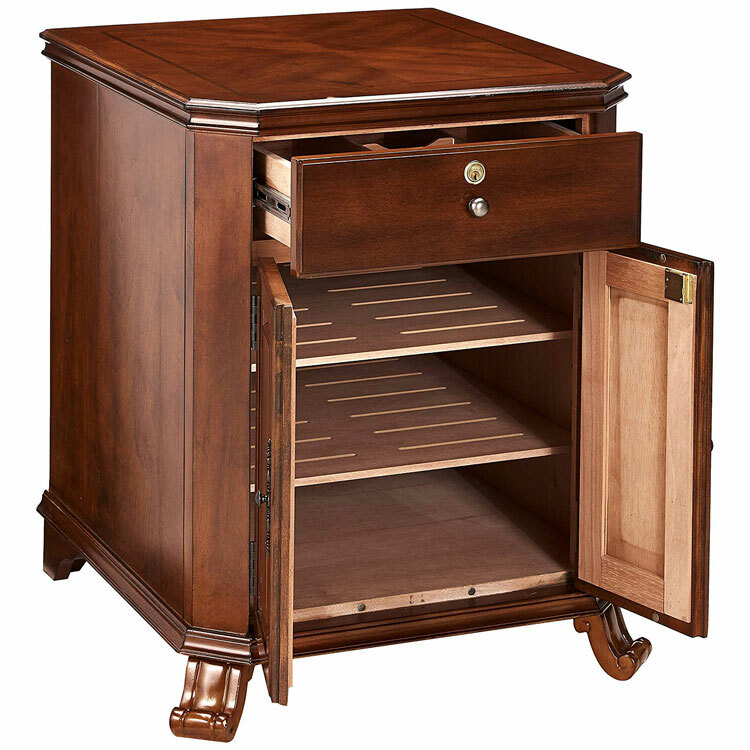 Nevertheless, a luxury humidor offers more than just effective cigar storage. Instead, it provides you will a beautiful piece of craftsmanship that can be admired in its own right. As hinted above, luxury humidors are as much artwork as they are practical storage for your cigars. Some of the most exclusive humidors manufacturers such as Elie Bleu are renowned around the world for producing meticulous luxury craftsmanship. After all, even the most mundane wooden humidors are made to be decorative as well as fulfilling their function. Meanwhile, luxury humidors are crafted from beautifully presented precious wood and only the finest Spanish cedar lining. Finally, some may suggest that owning a premium humidor is a lavish gesture of excess and wealth. Yet cigars themselves are often regarded in the same light. However, if you’re here, then you realise that the appreciation of cigars is much more than that. Reviewed by Mark D., on 31st October . "I wanted to treat myself... And I think that I found exactly what I was looking for here." I’d like to buy my husband a humidor and cigars just because! But not sure what’s the best??? Please help! Well as you can see with the list above, you’ve come to the right place! What’s the storage capacity you’re looking for and what is your budget? Perhaps we can find something that’s best adapted to your needs together?